Collins Mbesuma has won the South African Premier Soccer League (PSL) golden boot for the second time after topping the scoring charts with 14 goals, beating Prince Nxumalo of Ajax Cape Town and Thobani Mncwango of Polokwane City who scored 13 goals apiece. 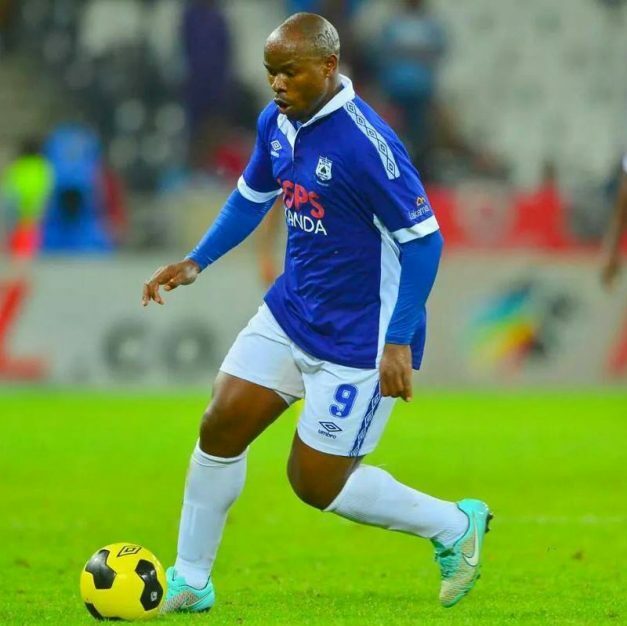 Mbesuma’s goals guided his team, Mpumalanga Black Aces, to a fourth place fininsh on the league table, behind champions Mamelodi Sundowns, second-placed Bidvest Wits and third-placed Platinum Stars. The resurgent Chpolopolo marksman last topped the South African scoring charts more that ten years ago when he scored 25 goals while playing for Kaizer Chiefs. Great son. Well done. You are doing Zambia proud. At some point we all thought he had expired but he has proved us wrong. Well done Beersuma. Mbesuma is a very good player ask me and I see him taking Zambia to Africa cup of nations 2017 come what zambia Is going take note. You are a DAY Dreamer Bwana. Mwana I’ll never be a day dreamer like u Zambia is going to Africa cup of all nations come what.If u want go and write in your not book what I have told u about Zambia going to Africa cup 2017 date 24th may,2016. VERY GOOD THE GREAT SON OF THE SOIL. WE ARE PROUD OF YOU AS A NATION.KEEP IT UP. WE ARE BEHIND YOU. KATONGO IS NOT FINISHED. LETS GIVE CREDIT WHERE IT IS DEAL. IF ANY THING,HE IS THE ONLY EXPERIENCED PLAYER YOUR HAVE AS A NATION.HE HAS DONE ZAMBIA A LOT.UUSHITASHA MWANA WA NDOSHI.CHRIS WE RAE PROUD OF YOU. Congrats Collins and well deserved.